I decided that I want to do a post on hair oils but not hair oils that are by particular brands but natural oils. I don't use alot of hair oils by brands (though I do try them at times). Normally, I use oils like olive oil, mustard and coconut which have done amazing things to my hair. I oil my hair twice a week or if I am lazy only once but even that will do. I've been using natural oils for my hair since I was very young and I do thank my mum for that! And I think it's because of that my hair is very thick. I wanted to do a series of posts on my 4 favorite types of hair oils. So first up is Olive oil and its benefits. 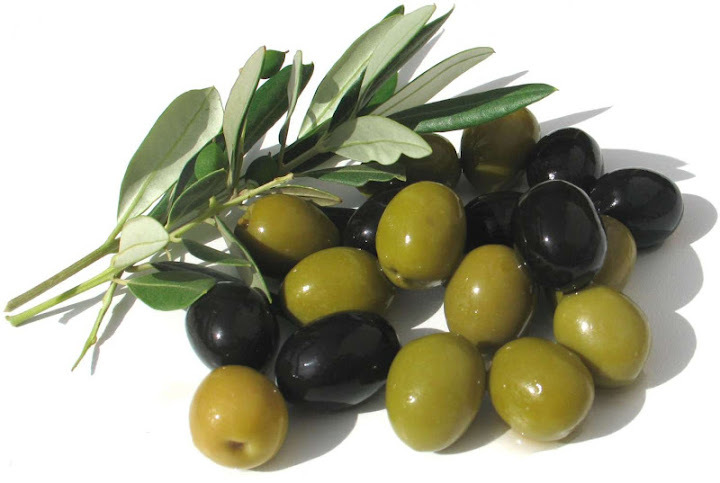 I love eating olives! I don't use olive oil on a regular basis, maybe twice a month because I do alternate with the others. I don't want to keep these posts too long so I'll stop rambling on. So olive oil has been around for YEARS! It' so beneficial in so many ways. Olive oil is actually one of the top emollients there are and is known to penetrate the hair better than any other. This means that it nourishes and conditions your hair as well as improving the elasticity and strength of your hair far better than other essential oils. I can tell you that this is true. Whenever I use olive oil for my hair, after I wash it it feels so nourished and conditioned. If you suffer from dry hair try this because it softens your hair alot. Another thing that I know about olive oil is that it's actually anti-inflammatory. This means that it promotes scalp health and prevents dandruff and calms an itchy scalp. I usually take some olive oil and warm it for about 30 seconds and massage it into my scalp because during winter I am very prone to dandruff. You would want to always warm the oil because after its warmed up it becomes thin and almost room temperature in some cases which means it'll be absorbed into your roots or hair follicle much faster. After leaving it in for about an hour, shampoo your hair. Keep doing it for about 2 weeks or so and it will reduce the dandruff alot. To make it even ore effective you can also leave the oil in overnight and then shampoo in the morning. Don't not use conditioner because the oil is a conditioner in a way. I like olive oil because its so light unlike certain oils which are alot heavier and greasier. When you massage it into your scalp it actually relaxes you as well as helping to promote your memory! In some cases it also prevents hair loss.You can get a bottle of olive oil from any shop. I got a huge one from Tesco for £2 and it's gonna last me for ages! 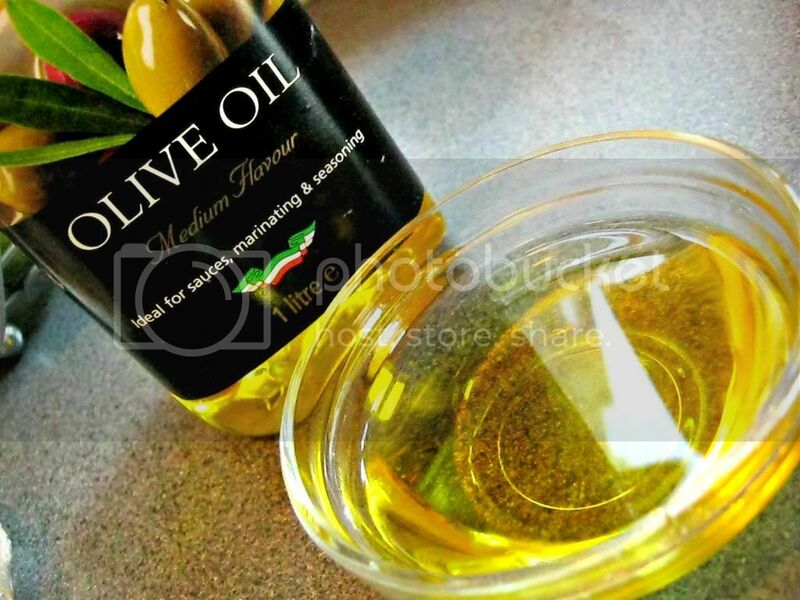 I know we are talking about hair but olive oil is great for your skin as well. I could do a post on that too if you guys would like me too! Next in this series is another favorite and very effective oil! I hope you guys liked this post and do let me know! I love writing and reading posts like these because they are so informative and so budget friendly. Anyway, this was a very informative post. I have a huge container of olive oil and now I want to try this out. Do you apply it on dry hair or damp hair? Which one works best? Sorry if that's a silly question. I will be doing one about coconut oil as well. Its so good! I love this post! I just started using coconut oil for my hair and I love it! I have been wanting to use olive oil as well! I love that you're doing a hair oil series! I've never used olive oil in my hair before, do you find it ok to wash out? I've been using mustard, amla, coconut and almond oils for over a year now and my hair is growing like crazy and has never been better! Fancy that - I've only just started looking at hair oils! I actually tried a hot oil treatment with almond oil but don't think it made much of a difference, although I've heard you need to do them often to get the benefits. What a great post, so interesting! Love olive oil too!! I use it for everything. It's a miracle product! Wow! I will definitely give this a try! Please post the others soon and I would love to see a post on how I can use it on my skin too.